Rhode Island VIN Check | Free Vehicle History - Simply Enter VIN! You need an existing RI.gov account before you can access the Vehicle Title Inquiry’s database. Visit the Subscriber Services page to create an account. Vehicle information inquiry costs $53 per transaction. To access the vehicle information of your chosen vehicle, you need to provide its VIN or its license plate number. 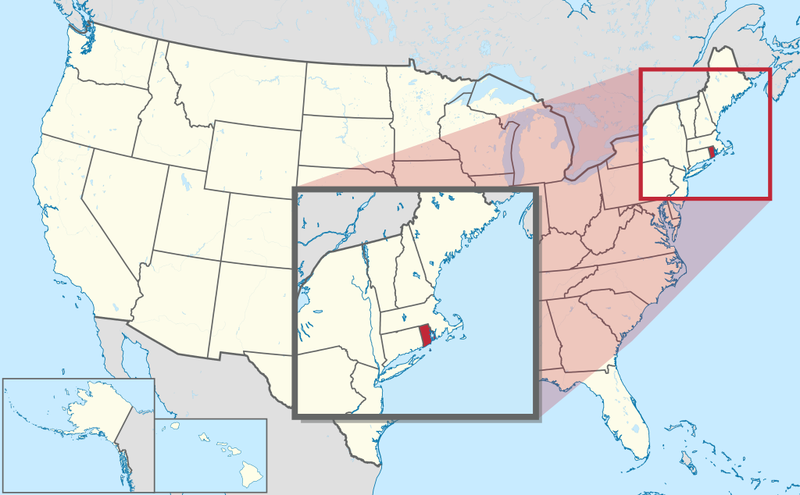 Rhode Island, officially the State of Rhode Island and Providence Plantations, is a state in the New England region of the northeastern United States. Rhode Island covers 1,214 square miles (3,144 km2), of which 1,045 square miles (2,707 km2) are land making it the smallest state in terms of area. It is the eighth least populous, and the second most densely populated of the 50 U.S. states. The average annual number of fatalities in Rhode Island was 58. Speed-related fatalities comprised 42.2 percent of total fatalities. Traffic accidents that resulted in serious injuries dropped slightly from 431 in 2014 to 425 in 2015. According to 2016 report of Neighborhood Scout, the motor vehicle theft rate in Rhode Island in 2016 was 3.02 thefts for every 2,000 inhabitants. A total of 1,596 incidents of vehicle theft were reported in the same year. Why should I run Rhode Island VIN Check? Run an Rhode Island VIN Check to uncover the full-story of your next vehicle.